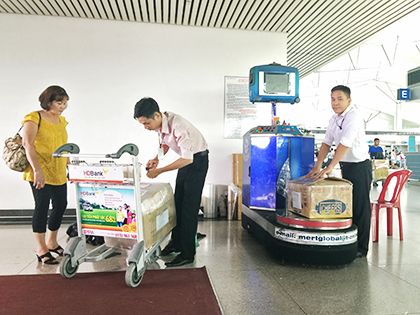 Tân Sơn Nhất International Airport (IATA: SGN, ICAO: VVTS) (Vietnamese: Sân bay quốc tế Tân Sơn Nhất, Vietnamese: Cảng hàng không quốc tế Tân Sơn Nhất) is Vietnam’s largest international airport in terms of area (800 ha or 1,977 acres compared with 650 ha or 1,606 acres of Hanoi’s Nội Bài International Airport and Đà Nẵng’s Đà Nẵng International Airport). 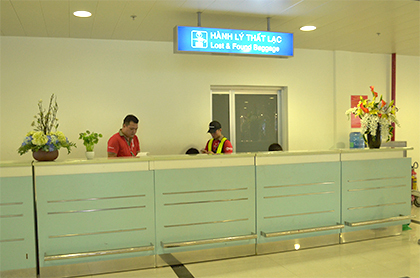 It has a handling capacity of 15-17 million passengers per year, compared with the capacity of Hanoi – Noi Bai airport of 8 million passengers and Da Nang’s 2 million passengers. 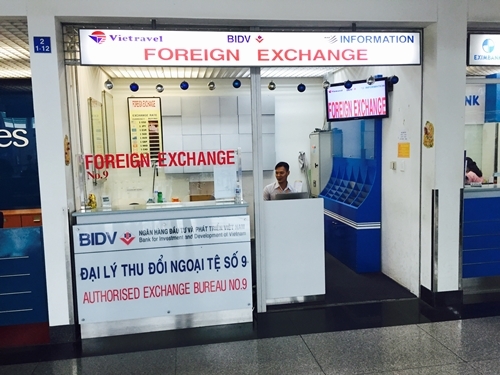 It is also the largest airport of Vietnam in terms of passengers handled (with an estimated number of over 12.5 million passengers per year in 2009, accounting for more than half of Vietnam’s air passenger traffic), serving Ho Chi Minh City as well as Dong Nam Bo in southern Vietnam. Its IATA code SGN was derived from the city’s former name of Saigon. In 2010, the airport handled 15,500,000 passengers and 130,547 aircraft movements. In 2011, the airport handled 16,668,400 passengers and 593,494 metric tonnes of cargo. 1st location: near by D2 entrance. 2nd location: near by escalator of departures area..
3rd location: opposite to check-in area row A & B. 1st location: near by D1 entrance. Location: Between Arrivals and Departures Terminal, near D2 entrance. Opening hours: 24 hours daily. Location: near boarding gate 18. Phone number: (08) 38 485 383 – 5422. In case of emergency, please contact our hotline (08) 38 485 383 – 3408. 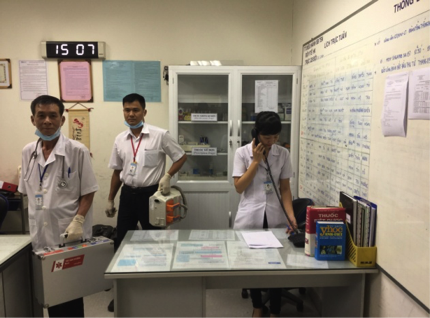 Medical staffs and ambulance of Aviation Medical Team will come immediately (in 5 to 7 minutes). 4th location: Lobby platform of Arrival Hall. No hidden fees, no shared transfers. 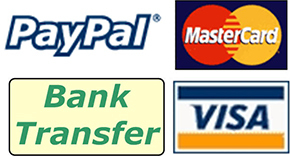 Pay online with Instant confirmation.